 Edward Grayer enters his second season serving as the assistant strength and conditioning coach for the Los Angeles Rams in 2018. In his first year with the Rams in 2017, Grayer was a part of the strength and conditioning staff led by Ted Rath, who was named the Strength Coach of the Year by the Professional Football Strength and Conditioning Association, an award voted on by the strength and conditioning coaches throughout the league. Prior to joining the Rams, Grayer spent six years at Rutgers University in two separate stretches. Most recently, he served four seasons as the director of speed development. Grayer started his first Rutgers stretch in player development under Head Coach Greg Schiano from 2008-09. In between Rutgers stints, Grayer spent two seasons at St. Thomas Aquinas High School, where they won the 2010 High School National Championship. During his tenure, Grayer served as the secondary/strength coach before being promoted to co-defensive coordinator following the championship season. In addition, Grayer spent one season as an assistant strength coach at The University of Louisville. The New Jersey native began his professional career as a performance enhancement specialist at Parisi Speed School in Fair Lawn, N.J.
Grayer graduated from Montclair State University with a degree in physical education/adult fitness. Grayer was a Division 3 All- American at Linebacker, an All-Conference Defensive MVP, and served as a team captain for the MSU football team. He is married to Dr. Nicole Grayer, together they have a daughter and a son.